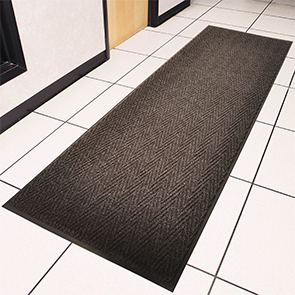 Chevron provides distinctive styling and easy maintenance in one mat. Popular Chevron carpet design scrapes debris from shoes regardless of the traffic flow. Chevron is the perfect choice for any medium traffic areas including entranceways and lobbies. Popular Chevron carpet design is attractive and functional as it scrapes debris from shoes regardless of traffic flow.